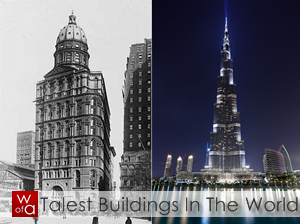 It's always wonderful to see preserved old architecture right next to modern architecture. 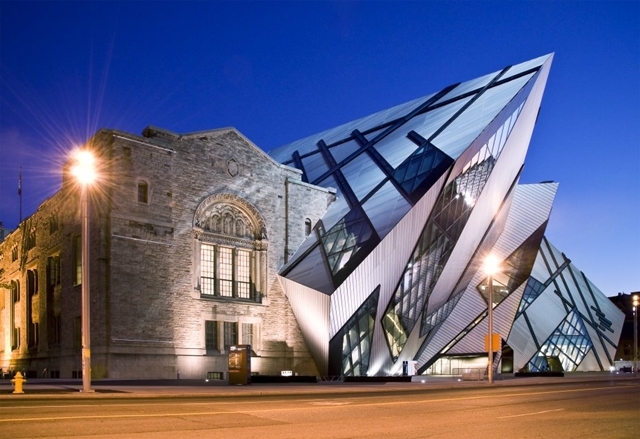 Or in this case, connected to each other. 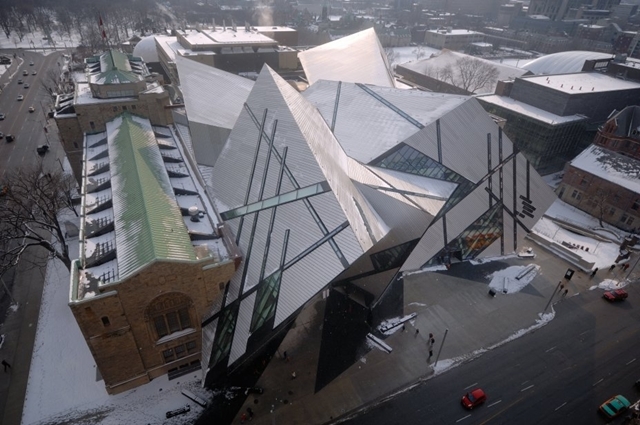 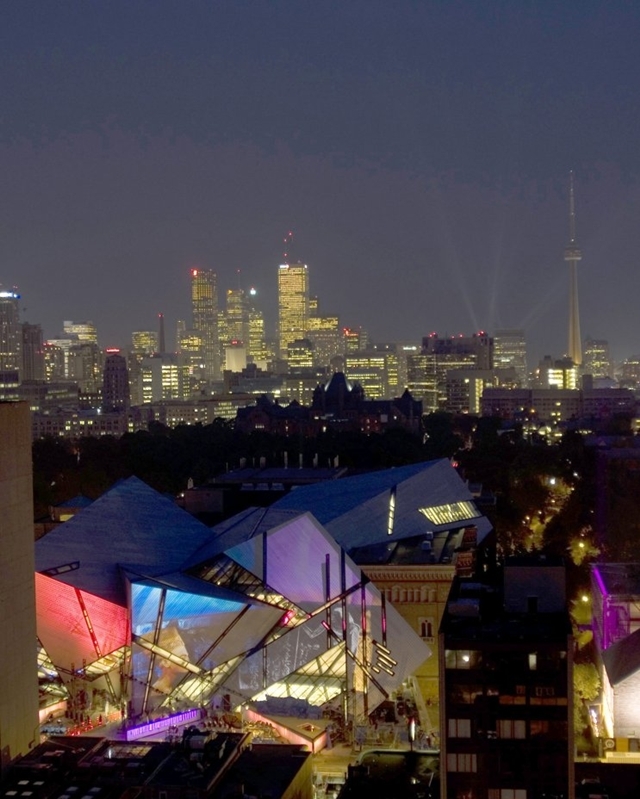 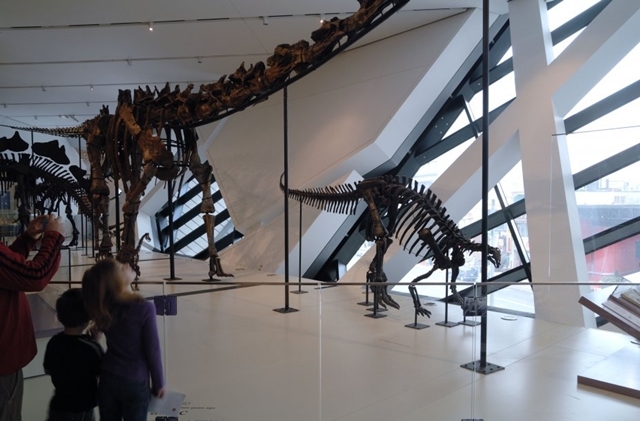 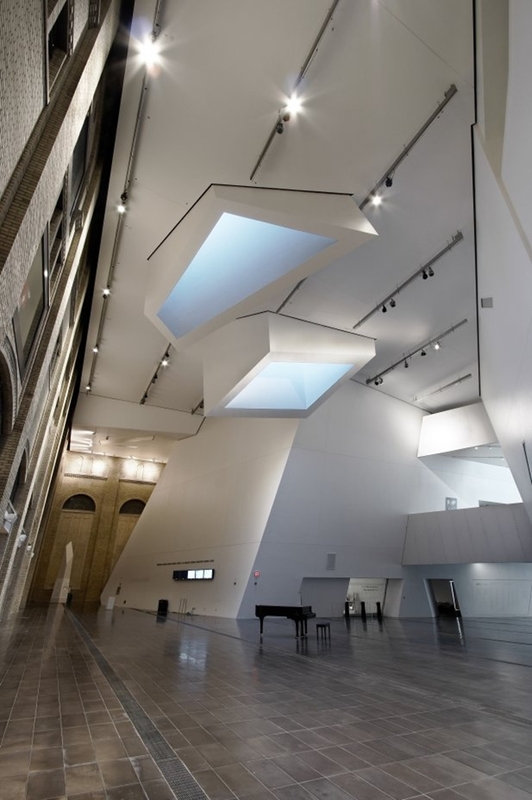 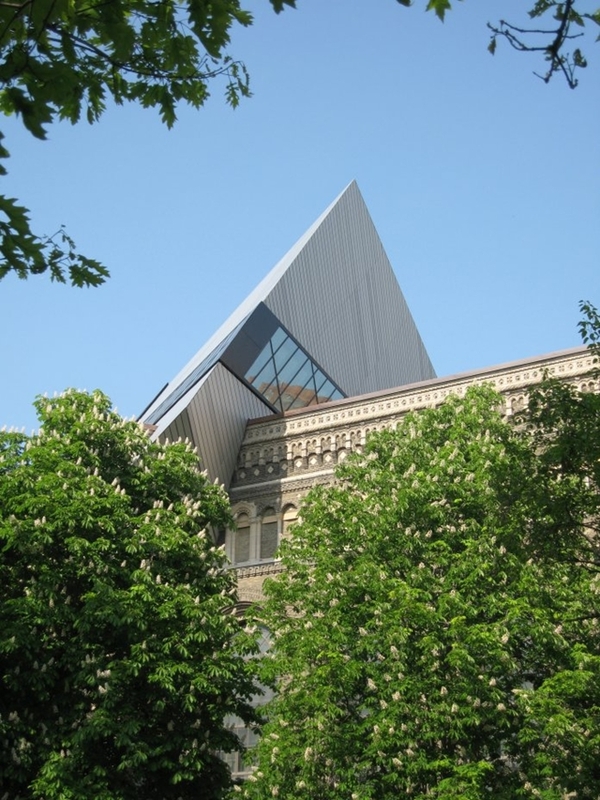 Studio Daniel Libeskind did an amazing job in Ontario, Canada, working on Royal Ontario Museum. 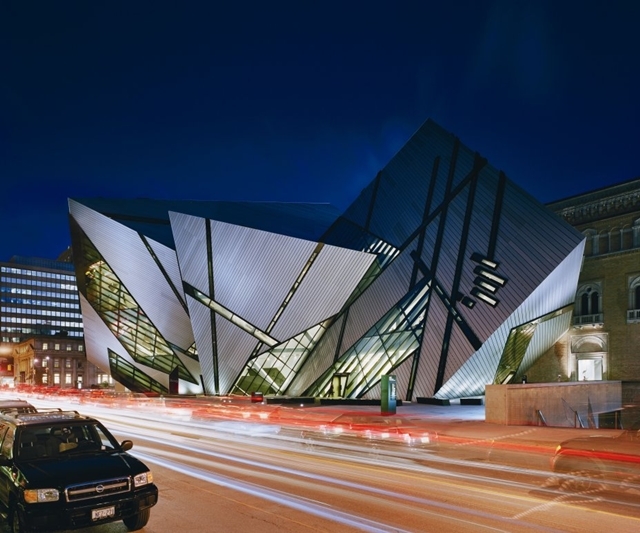 The Extension to the Royal Ontario Museum (ROM), now called the Michael Lee-Chin Crystal is situated at one of the most prominent intersections in downtown Toronto. 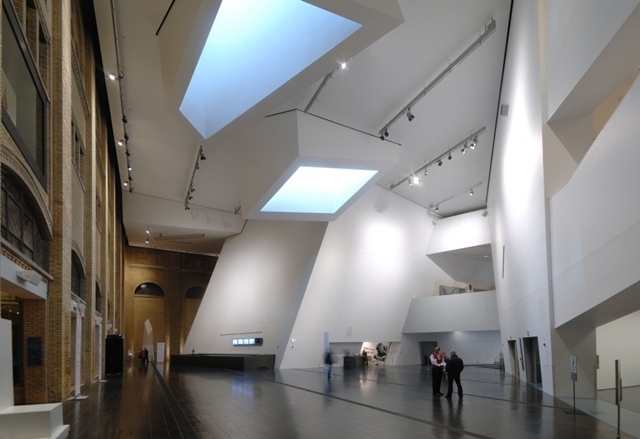 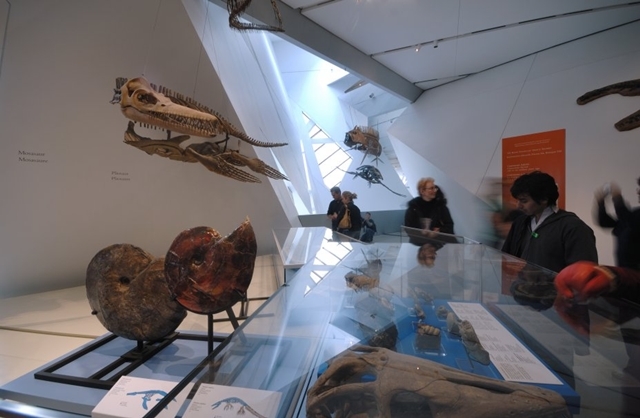 Opened in June 2007, the Extension provides 100,000 square feet of new exhibition space, a new entrance and lobby, a street level retail shop and three new restaurants. 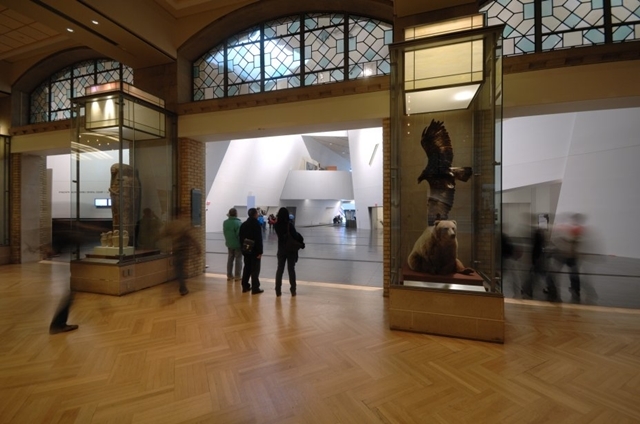 SDL also renovated ten galleries in the existing historical building as part of this project. 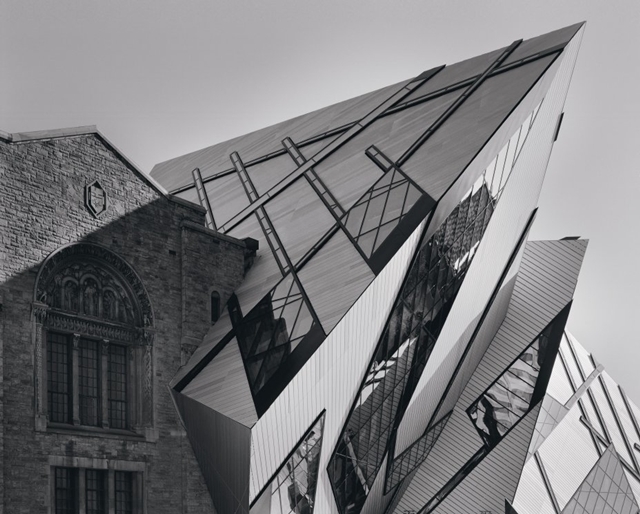 "The Michael Lee-Chin Crystal derives its name from the building’s five intersecting volumes, which are reminiscent of crystals. 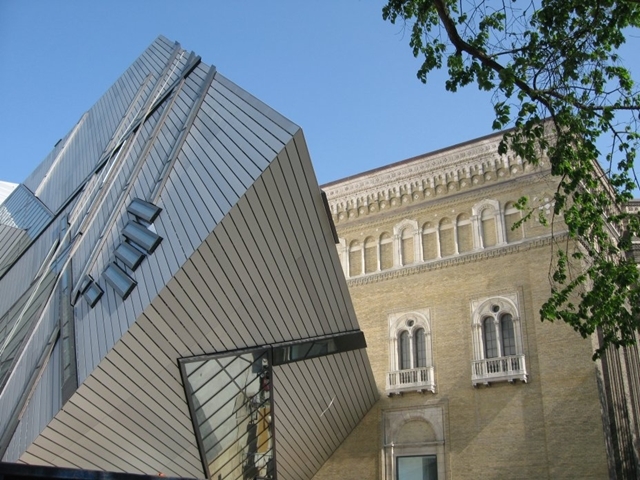 The intersection of two of the crystals, both dedicated to new galleries, creates a void, known as the Spirit House. 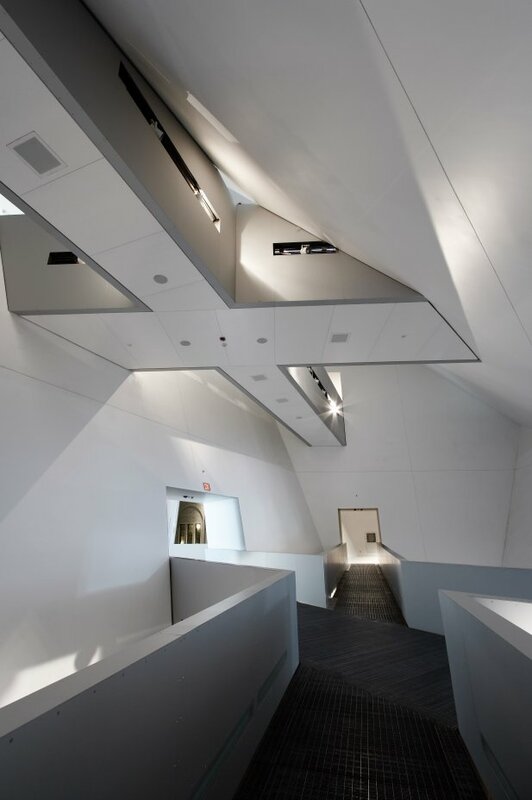 A large atrium rising from below ground level to the fourth floor and criss-crossed by bridges at various levels, the Spirit House is intended to be a place of reflections for visitors. 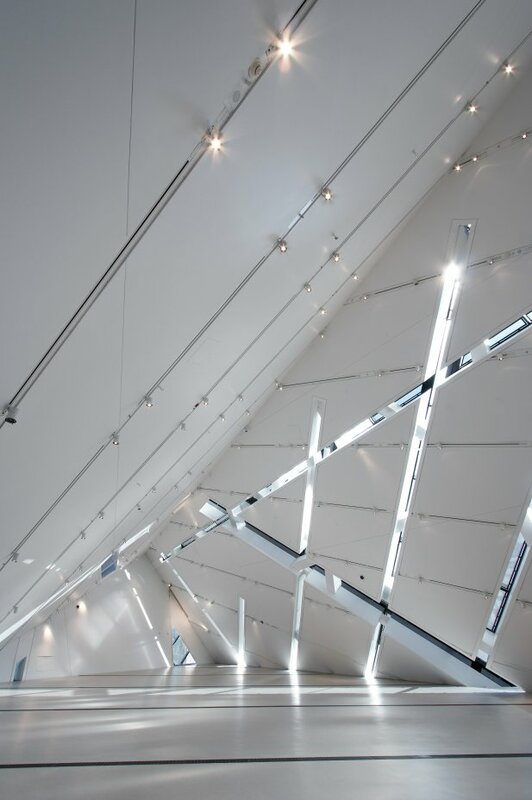 A fourth crystal, known as the Stair of Wonders, is dedicated to vertical circulation but also features exhibition vitrines at the landings. 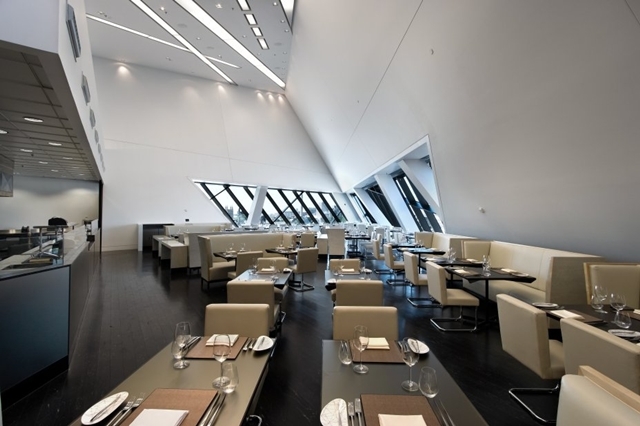 A fifth crystal houses a restaurant. 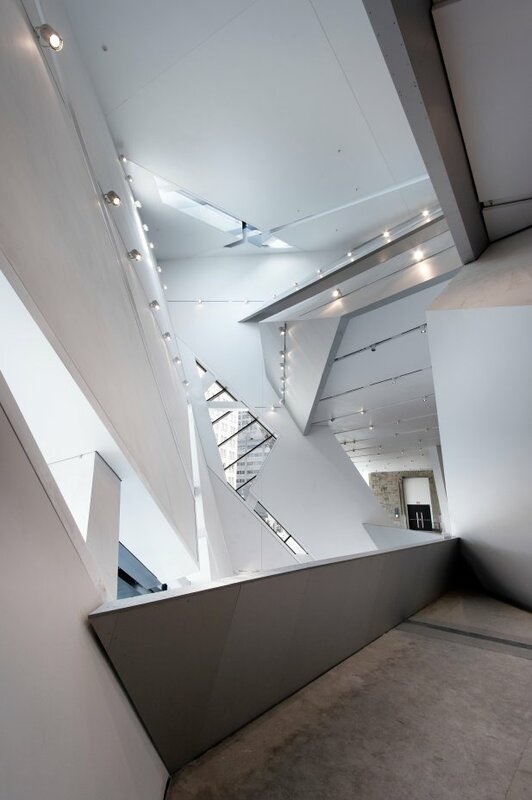 The intersecting spaces of the Michael Lee-Chin Crystal create a variety of atriums at different levels, affording views into galleries and other spaces within the Museum. 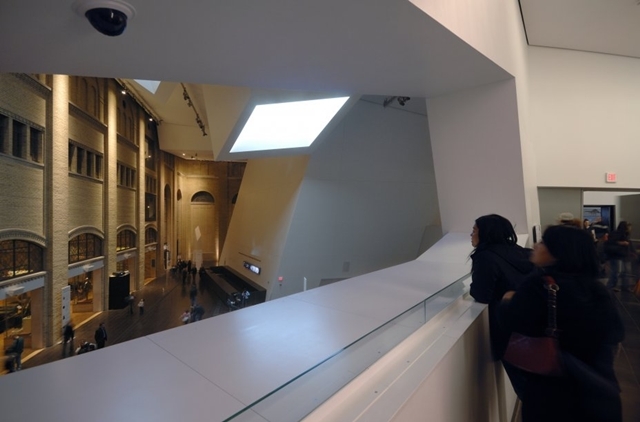 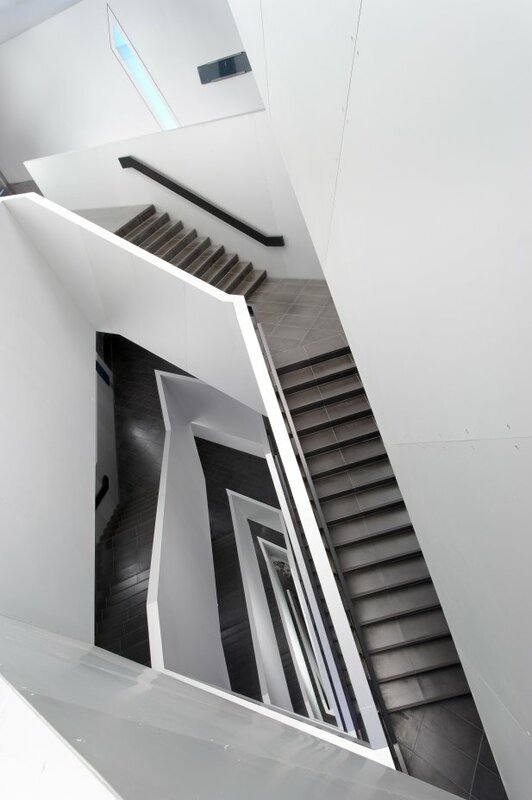 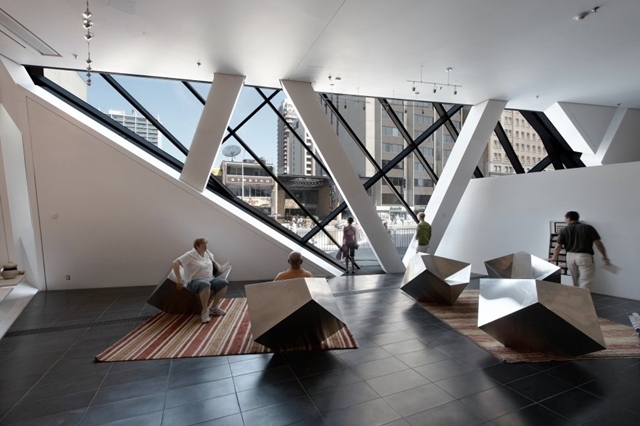 One large atrium, known as the Gloria Hyacinth Chen Court, separates the new construction from the ROM’s existing heritage building and provides a nearly complete view of the restored heritage facades."